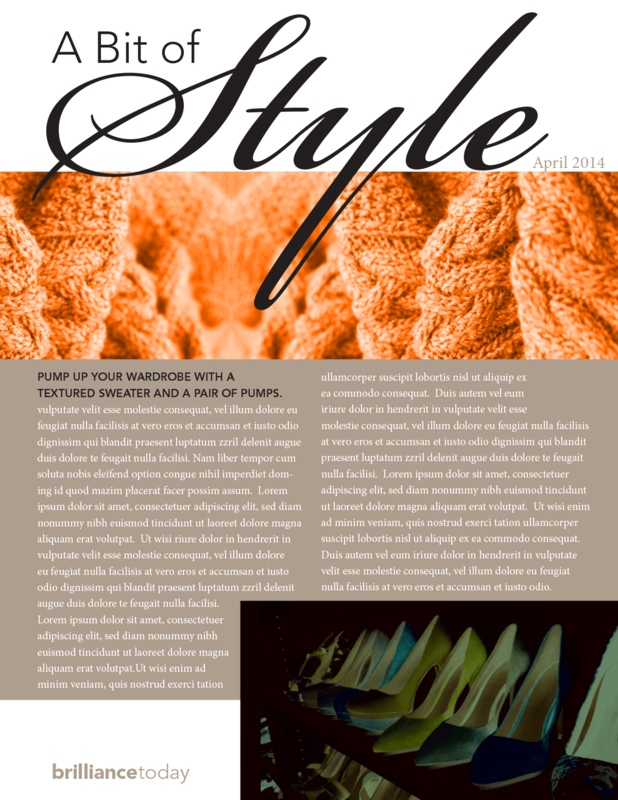 Create your next marketing piece in the best of fashion. Here’s a great concept. 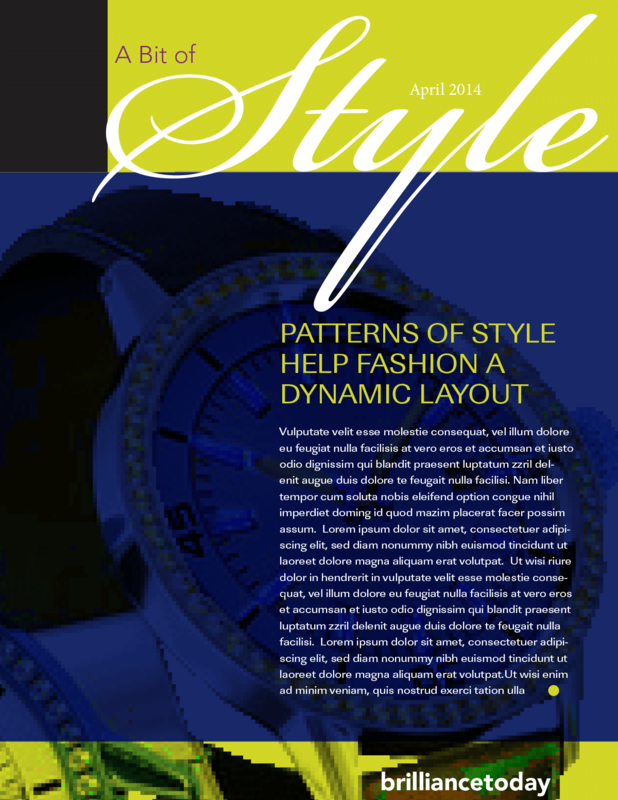 Try drawing inspiration from the latest designs in fashion. pinstripe, polka a dots, plaids, turtlenecks, denim—these make wonderful design elements. How about the stylish face of a watch? Watches have elegant ally designed stylish faces in rich platinum, gold or silver. I saw one watch in a magazine with a face in cobalt blue and hands in copper. This would make quite a sharp graphical element. Men’s ties, women’s scarfs and leather belts can make great backgrounds. Try scanning and colorizing the pattern. Even denim and the folds of cotton t-shirts can make for interesting textural elements. Hats are like the cherry on a chocolate sundae. They provide dramatic angles for wrapping text around. Look around you. 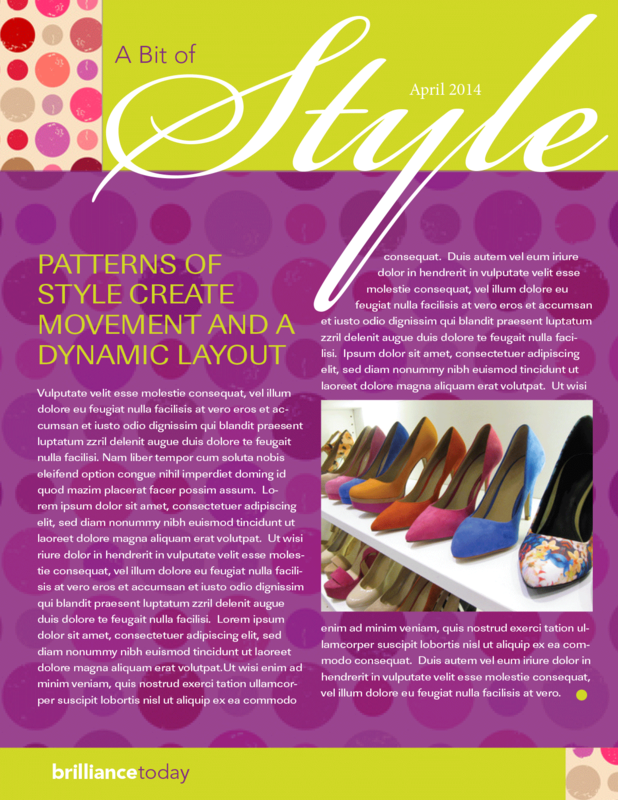 Fabric stores, fashion magazines, clothing stores, accessory stores make great places to find patterns and new inspiration for artwork. 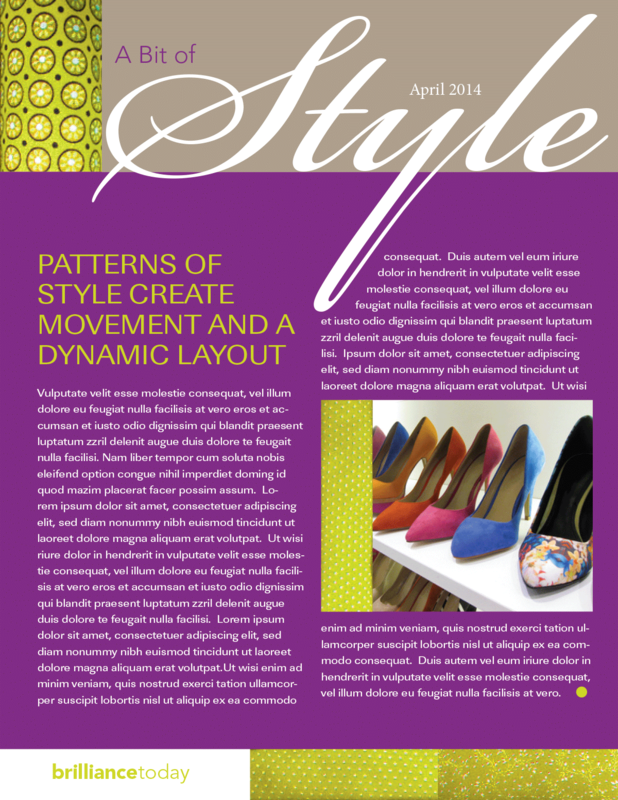 Here’s some samples of polka dots, paisley and plaids as aesthetic elements in a newsletter. Is your marketing campaign in style? Why not add a flair of fashion direct from a Paris runway? now i’m following you. Look forward to finding out about your web page again.